Britain’s biggest jewellery and watch retailer, Aurum Holdings, has acquired Mayors Jewelers, a chain of 17 prestige jewellers in Florida and Georgia, USA, for $104.6 million (£81 million). Mayors gives Aurum Holdings a significant foothold in the US market, including the real estate and resources of a headquarters office in Fort Lauderdale, Florida. Aurum Holdings has already unveiled plans to open its first Watches of Switzerland in New York next year. 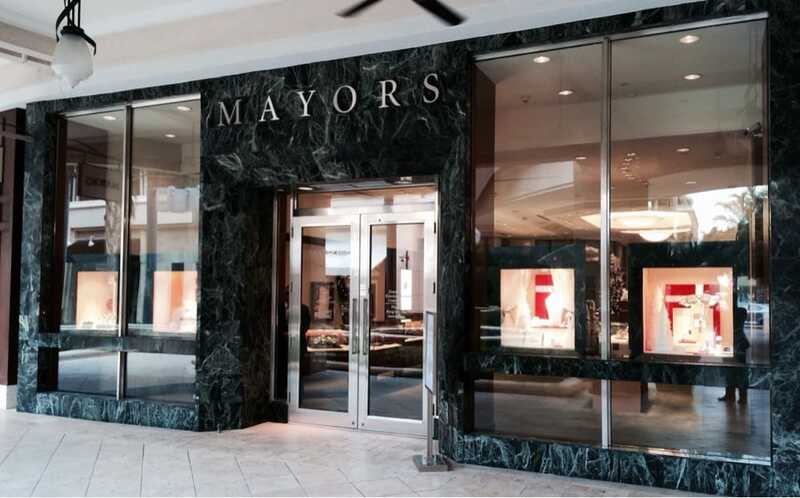 A statement from Aurum Holdings describes Mayors as a strong market leader in Florida and Georgia where its portfolio of 17 stores is underpinned by 15 Rolex agencies. The group has been trading since 1910. Aurum Holdings CEO Brian Duffy. “We are delighted to have entered into an agreement to acquire Mayors by the Aurum Group. We have admired Mayors for some time and see a great deal of similarities with how we operate our business in the UK,” says Brian Duffy, chief executive of Aurum Holdings. “Mayors has built a fantastic reputation in Florida and Georgia over many decades. We plan to fully utilise the experience and expertise of the team in Fort Lauderdale to support the Aurum plans throughout the US and we look forward to working with our new colleagues at Mayors. “We are confident that together we will continue to develop the business in a positive way. We acknowledge the hard work and professionalism of the Birks and Mayors teams throughout the negotiations. This announcement follows our announcement to open a flagship Watches of Switzerland store in Hudson Yards NYC and confirms the ambition of our group to be an important part of the Swiss watch market in the USA,” Mr Duffy adds. There will also be an opportunity for prestige jewellery lines developed by Mayors and Birks to be sold in the UK. “This transaction with Aurum also opens the doors to the UK market for our jewellery collections and we are extremely proud to join such a prestigious network as Aurum’s under the Mappin & Webb and Goldsmiths banners. We look forward to introducing the Birks brand in other markets as well,” concluded Mr Bédos. Aurum Holdings, is owned by Apollo Global Management, a US-based private equity firm. Last month the company announced it had raised the largest ever private equity fund, amassing $24.6 billion to be invested in North America and Western Europe. Aurum Holdings owns Mappin & Webb, Watches of Switzerland, Goldsmiths and Watchshop in the UK. Turnover last year rose 23% to £565 million, making it the UK’s largest jewellery and watch retailer ahead of Signet Jewelers’ retail brands H.Samuel and Ernest Jones, which notched sales last year of £489 million.